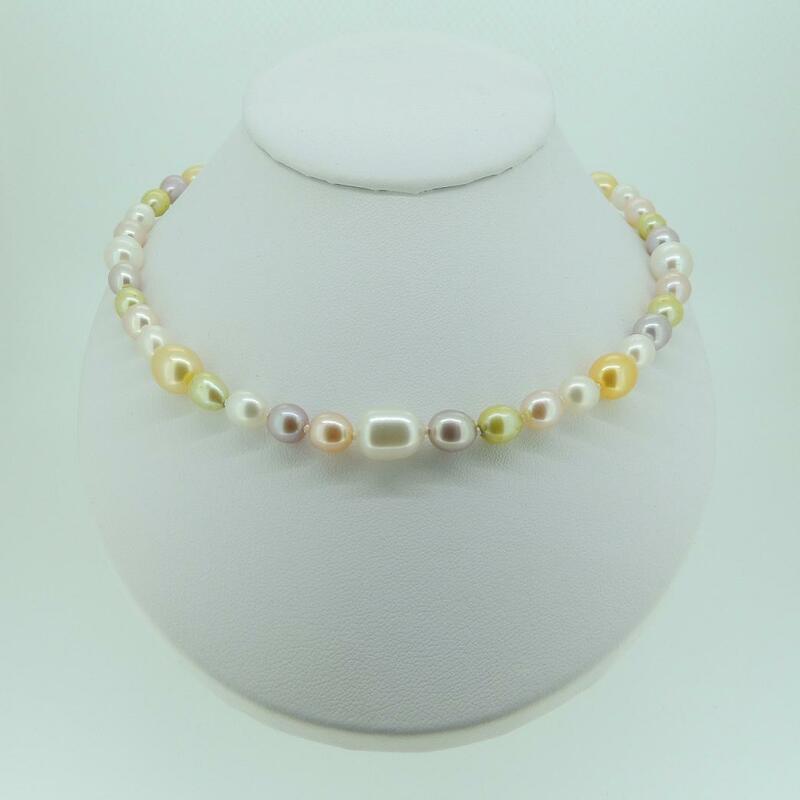 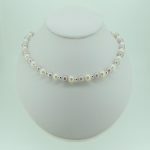 Cultured freshwater 6.5-8.5mm rice pearl necklace strung on silk with knots between each pearl on trigger clasp. 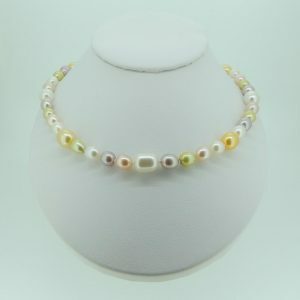 This pastel colour mixed sizes necklace is available with silver or 9K yellow gold trigger clasp. 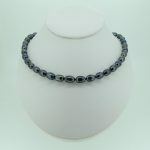 Also we offer matching bracelet.